Oh no, this post isn’t about my wonderfully pretty green eyes, but it is about Liam Gallagher’s clothing range named Pretty Green*. When it comes to blokes fashion, they can be a little weird. What women think is nice and on trend, they often think the same garments are grotesque. It’s funny what men will pick up on when trying stuff on in shops, like weird labels or the tiniest detail. I’ve been shopping with guys that won’t even contemplate buying a garment because the colour of the lining is ‘wrong’! I’m not much of a Liam Gallagher fan, but I must say every time I’ve gone into the Pretty Green shop with which ever one of my thousands of male friends (read: two) they’ve loved every single garment. Weird! 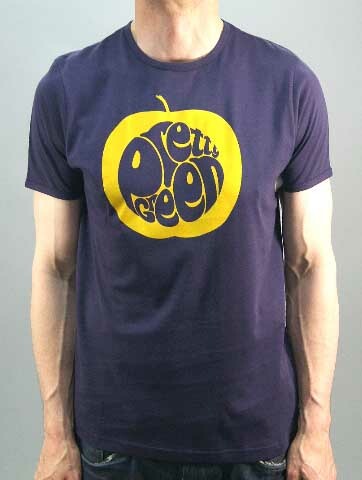 I must admit, I do think the logo for Pretty Green is spot on. The font is pretty distinctive and almost identical to the hand drawn font used on The Beatles Rubber Soul album (created by Charles Front, I know this because his daughter was on Sunday Brunch a while ago haha) and also they’ve incorporated the apple silhouette, which you may remember from that little lawsuit between Apple Corps and Apple Computers a while back! And despite me really disliking The Beatles, Oasis, everything about that little music genre, I do think Pretty Green hits the nail on the head for their target audience, which seems to be males, every where, ever. Do the males in your life feel the same about clothes shopping? Awkward specimens. *Sponsored post, in case you haven’t guessed. Next Post Can You Tell What It Is Yet?